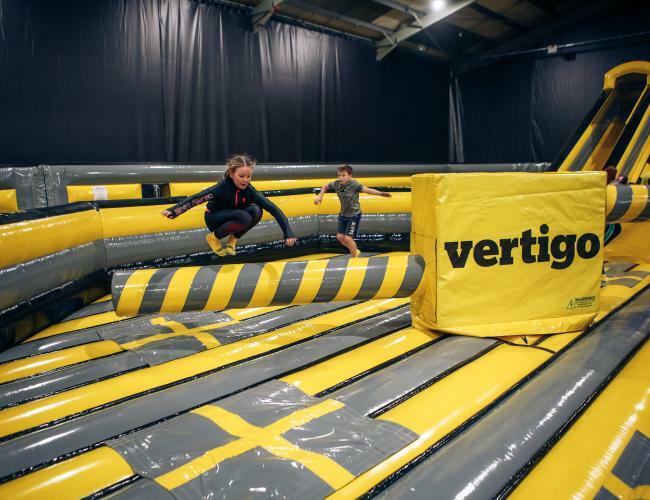 We are Vertigo | NI's leading Inflatapark & Activity Centre. And TRUE adventurers own the Unlimited Off-peak pass! WHO doesn't want a year's membership to THE WORLD'S LARGEST INFLATABLE ASSULT COURSE! - All pass holders will also get an exclusive invite to our opening night! 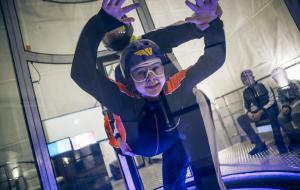 At We Are Vertigo, we never want the fun to stop. Forget rules. Forget boundaries. Forget full-price at peak times - for a whole year! A year of swash-buckling, tower-climbing, dragon-fighting, jungle-exploring, a year of imagination, a year of fun! The adventure is here & It’s in your grasp. 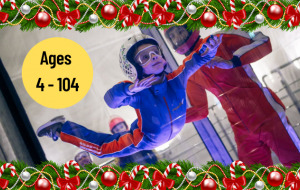 Anyone who owns it will get UNLIMITED access to Inflata - Bounce and Advenutre for the whole 0f 2019 and exclusively get Off-peak prices at Peak times. Let the adventure start today! Note - All bouncers must wear our new Slippy Grippy socks, desgined to give you grip running up slides and the Adrenalator but to also allow you to slide down them without getting stuck. These can be purchased online or at check-in.